In a cyber-world where Distributed Denial of Service (DDoS) attacks are at a record high, with attacks increasing by 91% in 2017, protecting your business empire is key. 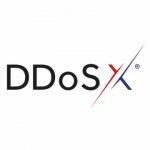 Our DDoSX® service detects and prevents DDoS attacks before they can cause you any downtime. At UKFast, we know that our customers need the highest levels of protection, that’s why we’ve updated our trusted DDoSX platform to give you even more options when it comes to your security. Panic stations! Your site has been targeted by a DDoS attack. That’s a continuous flood of traffic to your site; thousands of fake requests that cause your server to fail, knocking your site offline. How do you stop an attack getting this far and causing you downtime? DDoSX stops even the most sophisticated of DDoS attacks in their tracks, filtering out bad traffic so that your server only receives genuine traffic and your business operates as usual – no matter the size of the attack. DDoSX is placed at the mitigation layer in front of your firewall and identifies an attack before it reaches your solution. It analyses the traffic that your server receives and identifies components that do not make up a typical, genuine request. We’ve made changes to allow users to re-route their DNS through DDoSX. Using our new external DNS management feature you can now take advantage of DDoSX without having to use UKFast as your DNS provider. This takes the hassle out of having to change your DNS provider and update all of your domains. Now with the ability to externally manage your DNS the process of using DDoSX is fully automated meaning you don’t even need to speak to a member of the team to set this up! Just add a domain, verify its yours and off you go! DDoSX works by re-routing your traffic through our global network ensuring when traffic reaches your server here in Manchester only your real customers are on your site. DDoSX® investigates all attacks and generates a unique fingerprint for each attack, identifying and redirecting this traffic away from your webserver, keeping your business online and functional.